Beautiful fall look! Love the skirt and coat! Such a beautiful and chic outfit, looks amazing! LOVE it, Deniz. You look stunning. One of my favorites of yours! Love that sweater! This is sooo pretty. 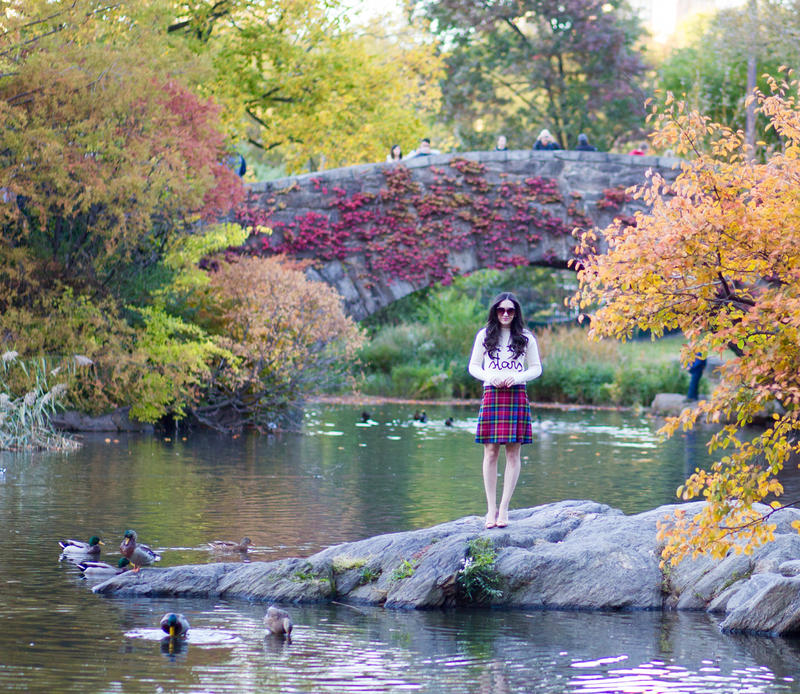 Love the autumn back drop as well :D.
Gorgeous shots – love the plaid skirt! Such an amazing look! That skirt is fab for this season! The tartan plaid skirt is so pretty, Deniz but the real winner for me is the soft yellow coat. The fact that it’s vintage makes it more desirable! No words to describe these photos and that background! And I LOVE that soft yellow coat on you! I usually hate yellow but it’s SO pretty! You’re as lovely as the view! !